According to Alison Parr she “completely fell into’” her rich and varied twenty-five year broadcasting and journalism career. 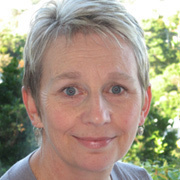 A Dunedinite by birth, Parr left Otago University in 1974 with a BA in Music, and no desire to become a music teacher. First stop was the Otago Daily Times where her request for a job was soundly rejected on the grounds “I was a woman with a degree, so they would have to pay me more — and anyway, I was bound to leave and have babies”. She didn’t let this stock standard sexism get her down, instead turning up on the door of the NZBC newsroom. It was here her life in journalism would begin. The list of programmes Parr worked on as a researcher, script-writer and presenter from the mid seventies to 1989 reads like a roll call of Kiwi cultural greats: Close Up, Kaleidoscope, Fair Go, daily magazine-style programme Good Day, and Radio New Zealand’s iconic current affairs programme Checkpoint. What strikes her most when she looks back on her work in current affairs and in particular, Close Up is the quality of the work they were enabled to do. “We had extremely high standards and just like today’s current affairs or news programmes, a fast turnaround. When we were at Avalon Studios on Close Up, as reporters we were each producing at least one fifteen to twenty minute long form documentary per fortnight. The reporters would be working on two stories at a time. This included reporting and interviewing in the field, script-writing and editing. We worked our butts off”. The reason Parr and co could achieve this work-rate was simple: “the money was there” for researchers and reporters to explore what was going on socially and politically, in what were turbulent times. Parr says she was no different to any other politically and socially engaged woman of the era; but she was literally the face of a changing New Zealand as she and Close Up colleague Carol de Colville were amongst the first female TV journalists to present current affairs stories and conduct interviews in the field — breaking up what had traditionally been male territory. A 1979 interview Parr conducted with Sir Edmund Hillary for Good Day demonstrates the change in the zeitgeist, when the perturbed Kiwi icon is asked why none of his expeditions seemed to have room for female participants. Towards the end of Parr’s time on Close Up, she travelled to China with director Anna Cottrell, to do interviews and write the script for a story on the country's one-child policy. This resulting programme was awarded a Qantas Media Award for Television Current Affairs. Parr went on to do stories for arts slot Kaleidoscope on everything from the renaissance of NZ cinema, to co-directing a piece on painter Toss Woollaston. After leaving television for a while in 1989, Parr worked in a wide variety of freelance roles. Surprisingly she felt the need to “do a proper job”, and after returning to university and attaining a BA in Psychology with Honours she flirted with the idea of becoming a clinical psychologist. Instead, the aftermath of war would become a specialty topic. While preparing a seminar on psychological trauma, Parr learnt of the huge numbers of ex-servicemen with experience of post-traumatic stress disorder. From this came oral history project Silent Casualties, involving interviews with WW2 ex-servicemen sharing accounts of their war. Parr shaped her interviews and research into a 1995 book of the same name. Further books and research projects — on topics ranging from war and its aftermath, to remembering Christchurch — have appeared since she joined the Ministry for Culture and Heritage in 2003, as an oral historian. Parr’s broadcasting career continued into the late nineties. From 1994 to 1996 she presented Sunday Morning with Alison Parr for Radio New Zealand, while fronting For Art’s Sake on television. In 1997 she fronted books show The Write Stuff on TVNZ. From 1999 to 2001 Parr took her interviewing skills over to Newstalk ZB to present their Saturday morning show. She then turned to print journalism to edit Consumer Gardening magazine, before a year as a writer/editor for Te Papa in 2003. Over the years she has received several prestigious awards, including a Gold Medal for Best Interview at the 1996 New York Festival International Radio Awards. Parr’s background in war research has proven useful on various live events for television — including MCing a 2006 Anzac Service at Gallipoli, which was broadcast to Australasia and the United States, and the interment of the Unknown Warrior in Wellington (where she shared live commentary duties with Ian Johnstone). Currently Parr holds the position of Senior Oral Historian at the Ministry for Culture and Heritage.